The Taiwanese capital is known for its stellar street food, vibrant arts scene and a welcoming cosmopolitan population – but also as a springboard to the rest of the nature-rich nation. And each visit to the fiercely independent city is another chance to uncover something brand new. Visitors cannot conclude a trip to Taipei without catching a glimpse of its architectural pride and joy Taipei 101 (No.7 Sec.5, Xinyi Rd, Xinyi District, www.taipei-101.com.tw). But save for the Observation decks on the 89th and 91st levels, the mall is just like any other shrine to consumerism. So just get your best photo with the tower and spend the remainder of your time exploring the rest of the city. 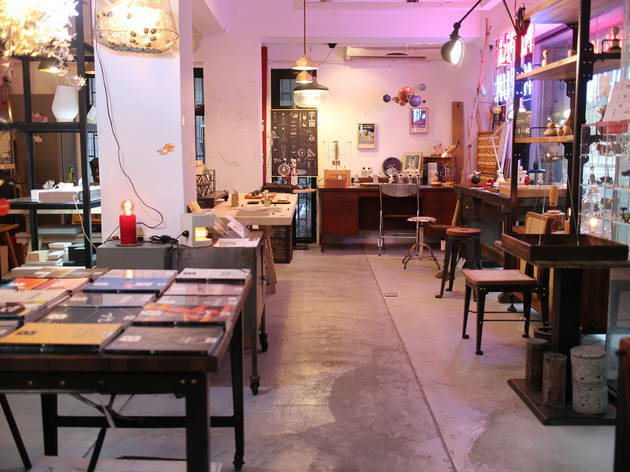 Fujin Street is to Taiwanese hipsters as Tiong Bahru is to our local iconoclasts. The tree-lined, sleepy residential district of walk-up apartments features a well-distributed layout of trendy cafes, multi-concept stores and hip retail spots. 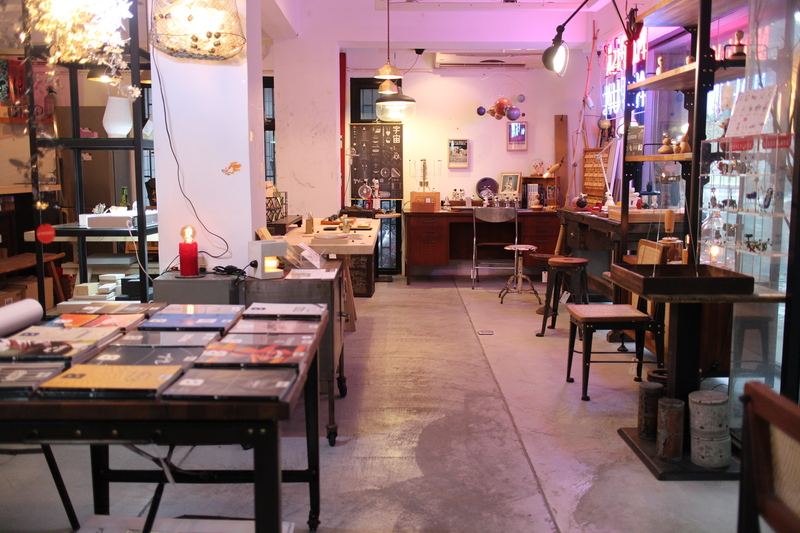 Funfuntown (359 Fujin St, Alley 1, Lane 2, Songshan District, +886 2 2766 5916, www.funfuntown.com) is a source of quirky home goods – ome old, some new and some upcycled on a small worktable carved out in the store – like Edison lightbulbs, copper Moscow Mule mugs and rare art magazines. Of course, no visit to the street is complete without a stop at two of its pioneering joints, Fujin Tree 355 (355 Fujin St, Songshan District, +886 2 2765 2705, www.facebook.com/FujinTree355 and Fujin Tree 353 Cafe (353 Fujin St, Songshan District, +886 2 2749 5225, www.facebook.com/FujinTree355). The former's a cosy retail nook with imported homeware and clothes sourced from Japan, Europe and its home turf, and the Cafe's the ideal pit stop for its rousing coffee drinks. Huashan 1914 Creative Park (1 Bade Rd, Sec. 1, Zhong Zhen District +886 2 2358 1914, www.huashan1914.com) is testament to how civil activism preserved Taiwan's built and cultural heritage. The two-hectare plot of land lay abandoned from 1987 to 1997 until the Golden Bow Theatre Group staged an illegal production there ahead of a planned demolition. That sparked a two-year long battle with the authorities, transforming the area into an artist enclave. The locals come here to hang out at the numerous cafes and retail stores tucked in the different buildings, and the outdoor quad doubles as a picnic spot and events square for annual festivals like the Taipei Swing x Jazz meet. Eslite Bookstore – known affectionately to the locals as Chenpin – is a chain that can be found dotted around the city, but we particularly love the four-storey retail space at its own Eslite Spectrum Songyan Store (88 Yanchang Rd, Xinyi District, artevent.eslite.com) in Songshan Cultural Park. As with all Eslite outlets, the English and Traditional Chinese book range is extensive and aspirational (tip for gastronomes: we spotted Chinese editions of the first two Lucky Peach issues), but the space also functions as a department store, where arts and crafts vendors await. There's even a studio on the third storey where you can create your own music box with a selection of fittings, tunes and wood-hewn scenery. And then there are the city's legendary night markets to conquer. Shilin Street Night Market (Dadong Rd, Shilin District) is always a good bet, though it's common to hear locals complain about the declining quality of the food. Their suggestion? try the Raohe Street Night Market (Raohe Street, Songshan District). It's one of the oldest thoroughfares of sights, sounds and not-always-pleasant smells, where you'll find innovation in grub and cheap prices on the deep fried breaded chicken patties, smelly tofu, and the street's must-try: hu jiao bing (pepper meat buns) that hides a steaming glob of minced meat and spring onions in a tandoori-baked doughly shell. 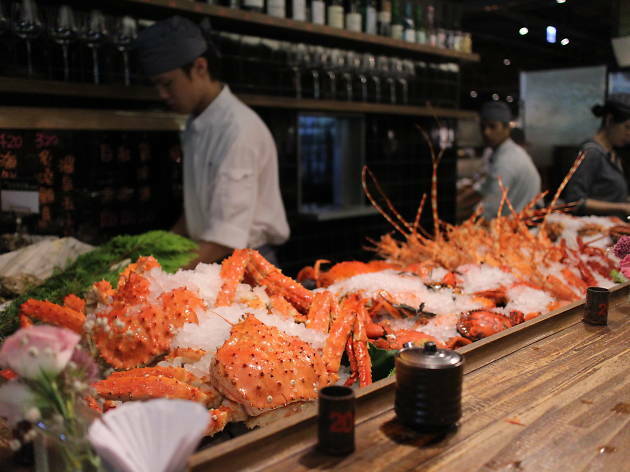 The bizarrely named Addiction Aquatic Development (18 Alley 2, Lane 410, Minzu East Rd, Zhongshan District, +886 2 2508 1268, www.addiction.com.tw) might sound like a research lab, but it's actually a gourmet fish market with huge tanks full of edible sea life. If you don't quite like your meat hacked up before your eyes, there's also a small sashimi bar where you can buy gleaming takeaway packs of both fresh slices and pre-prepared sushi. Oppositethe market, in Addiction's equally mystifyingly named Area 4, is a restaurant where a flat price gets you seafood that the chefs will boil, fry and stew to perfection. While the speakeasy bar movement hasn't really taken off in Taipei, the city is still home to a couple of good bars, Ounce Taipei (No.40, Lane 63, Section 2, 2 Dunhua South Rd, Da'an District, +886 2 2708 6885, www.ouncetaipei.com) requires an act of faith and a keen eye to enter. To find it, step into Relax: The Espresso Place – trust us – and look at the wall of box frames in the left corner of the oddly shaped room. You'll need to find a buzzer and ask for permission to enter. Inside, the well-hidden and dimly lit bar is fronted by American expat Liam Baer, who makes a mean cigar-infused Old Fashioned. Across town, in a residential development by Taipei 101, Alchemy Bar (2F, No.16-1, Section 5, Xinyi Rd, Xinyi District, +886 9 5358 5759) is another spot that requires a bit of work to find. 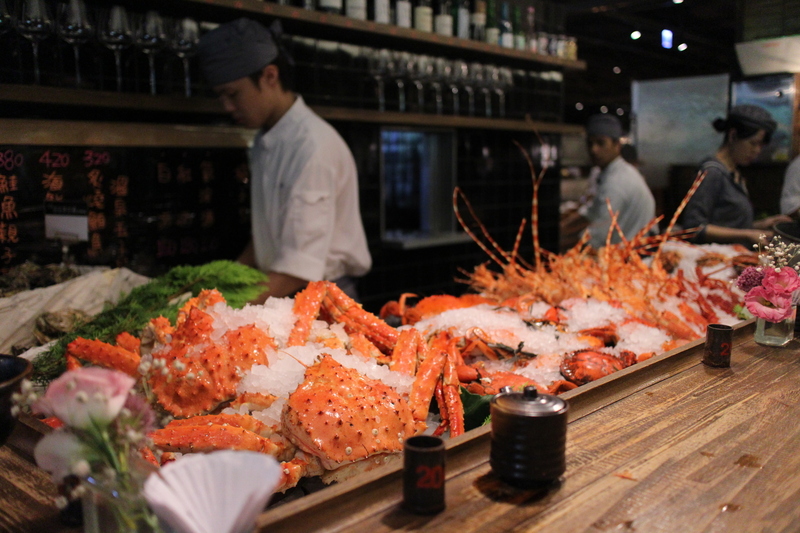 To gain entry, muster your best Mandarin and make a reservation before heading down. Enter through the posh Marquee Restaurant and lounge and wait for the servers guarding the second floor to whisk you upstairs to yet another dark room, this time headed by Taiwan's Diageo World Class 2010 champ. Angus Zou. His bar stocks some of the more premium pours in town, some of which he hand-carries in. 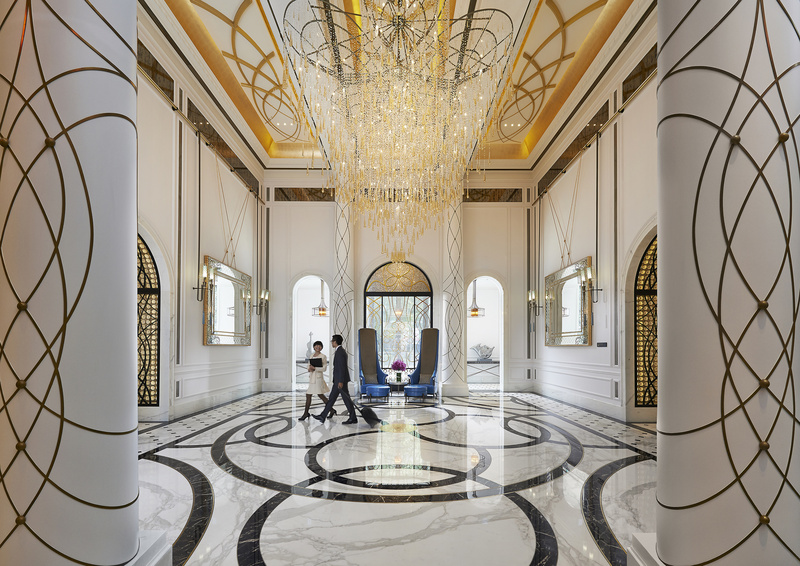 If money is no object, you won't find anything better that the Mandarin Oriental Taipei (158 Dunhua North Rd, Songshan District, +886 2 2715 6888, www.mandarinoriental.com). 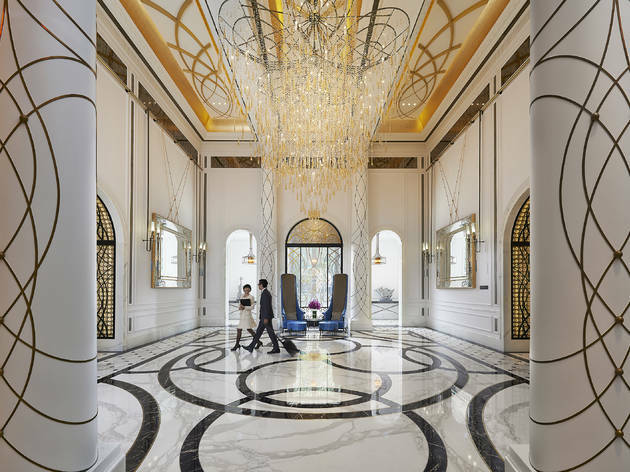 The five-star hotel, which opened in mid-2014, is located along the city's luxury shopping Dunhua row; it packs a comfortable 256 guest rooms and 47 suites. On its lower floors, Italian Michelin-starred chef Mario Cittadini oversees the hearty fare of his home country at Bencotto, while World Chocolate Master Frank Haasnoot turns out lovely, Instagram-worthy cakes, macarons and baked treats at the candy shoppe-like Mandarin Cake Shop. The hotel also hosts Asia's first and only Fueguia retail perfumery, stocking the Argentinian perfumer's range of divine fragrances and candles. On the other end of the price spectrum, the Check Inn (253 Sngjiang Rd, Zhongsgan District, +886 2 7726 6277, www.checkinn.com.tw) is a new and hip option. Set up by a young, American-educated Taiwanese entrepreneur, each room in this cosy 15-floor building features arty, sometimes graffitied walls, subway and mosaic-tiled bathroom walls and floors – and, if you're lucky and get the corner unit, a sweeping view of this beautiful metropolis beneath your feet. EVA Air flies direct to Taipei from $590 return (occasionally on a Hello Kitty-themed airplane). See www.evaair.com for more info.